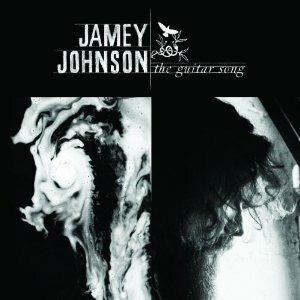 Hall of the Mountain King: Review: Jamey Johnson, "The Guitar Song"
I know that many of my fellow underground country music fans consider Jamey Johnson something of a shill to the Nashville establishment, an artist to stick between a couple of glitzy pop songs every now and then to appease fans looking for real country music. I’m not up enough on the Nashville scene to make a judgment on that, but what I can judge is what I hear on Johnson’s latest double album, “The Guitar Song.” And what I hear is a lot of honesty, conviction and dedication to the roots of country music. No, it’s not perfect, nor does it deliver much that country music fans haven’t heard before, but it’s a solid record rooted in the brand of country delivered by the likes of David Allan Coe, Hank Jr. and Waylon Jennings. From there, things do take a darker turn with the moody and bluesy “Cover Your Eyes.” The song takes a few listens to get the feel, but it’s a soulful tune with a lot of grit. That’s followed by the brooding “Poor Man Blues,” a tune influenced by Coe and Hank Jr. that is loaded with menace and the promise of violence. The mood lightens a little again with the fourth track, a faithful cover of Vern Gosdin’s “Set ‘Em Up Joe,” recorded on the morning that Gosdin passed away. After that powerhouse opening to the record, things become more of a mixed bag. The Jimmy Buffett-inflected “Playing the Part” seems a little out of place among the darker more serious songs, as does the sappy lullabye “Baby Don’t Cry.” The first disc ends almost as strong as it began, though, beginning with “Can’t Cash My Checks.” It’s a song about a man down on his luck that would probably make the underground country crowd happy if they’d give it an unprejudiced listen. “Heartache” might have a little more commercial country bent than some of the other songs here, but it’s a memorable number, and a cover of a rare dark turn for Mel Tillis, “Mental Revenge,” rounds out the highlights from the first record. The “white” disc opens with a funky, 1970s sounding piece “By the Seat of Your Pants,” a father’s message to a son, that breaks the dark mood, but isn’t quite as memorable as some of the songs on the first half. “California Riots” provides one of the more memorable chorus melodies on the record, as does “Macon,” which reminds me a little of something off one of Shooter Jennings’ first two records. The light side does lend itself, naturally, to songs that are a little less serious and, here and there, themes that are hokey and a bit maudlin. “Front Porch Swing Afternoon” is a great example of the latter. Images of sheets flapping on the clothesline and the scent of blackberry pie and magnolia blooms undeniably speaks to easy country life and good memories, but it doesn’t have much impact in song form. On the other hand, “Dog in the Yard” is a bit silly, but still manages to be fun, reminiscent of “Mowin’ Down the Roses” from his last album. The title track, featuring Johnson and Bill Anderson playing the roles of guitars in a pawn shop, is quirky and entertaining. “Good Times Ain’t What They Used to Be” reminds the listener a little of Waylon, and is one of the only truly upbeat numbers on the record. One of the centerpieces of the second disc is “That’s Why I Write Songs,” which has gotten a bit of praise in early reviews, but it just doesn’t really work for me. It seems a little self-indulgent to my ears and not nearly as good as some of the other tunes here. But the album closes strong with the haunting “My Way to You,” which brings things full circle and provides a perfect ending for the cycle of songs. “The Guitar Song” is a fairly organic record, with songs that run on into mini jam sessions, well beyond where they’ll be cut for radio play, and even includes some background chatter and hisses and pops from the studio. The arrangements, for the most part, are very sparse and simple, far from the overproduced pop that crowds most country radio these days. Like just about any double album, it does have its share of less than memorable moments, but the strongest songs more than make up for those moments. Though opinions in some circles may differ on how genuine Johnson is, it certainly sounds real to me, and it’s nice to see an artist like Johnson making some inroads in a commercial country scene that largely seems to have forgotten its roots.